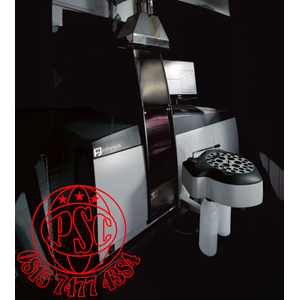 0.1 nm, 0.2 nm, 0.4 nm, 1.0 nm, 2.0 nm,( software selectable ). Automatic changeover ( AA500GF ) Manual ( AA500F ) Automatic Settingof Optimum Height for Flame Burner. Triple HCL power supply; 3 to 75 mA peak in NORMAL mode, 3 to 750mA in GIANT PULSE mode. Polypropylene spray chamber with pre-mix burner and high efficiency adjustable nebulizers (SS), Titanium burner heads for Air/Acetylene, Argon/Hydrogen and Nitrous Oxide/Acetylene operation. Computer control by 80C188 chip, 8/16 bit operation, 12/24 MHz clockspeed; non-volatile SRAM storage of >200 method files. User selectable times from 0.5 to 10 seconds for continuous (flame) and transient (furnace, hydride) signals. Automatic, weighted least squares fit to 1st, 2nd, 3rd, or 4th order functions, up to 8 points. 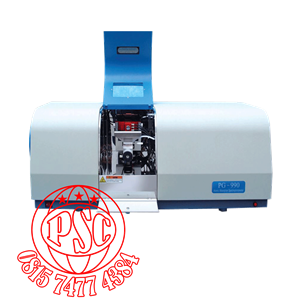 Anda Mencari "Atomic Absorption Spectrophotometer ( Aas )"? 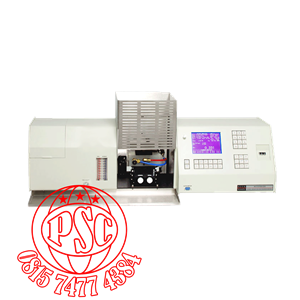 Buat Permintaan Untuk "Atomic Absorption Spectrophotometer ( Aas )"